Get fast results using this professional teeth whitening gel in the comfort of your own home. Our at home kit includes 5 large 5cc syringes of 44% carbamide peroxide gel which is the same strength used by most dentists and professionals. Also included in this kit are 2 teeth whitening thermo-forming mouth trays. As a bonus we will include an accelerator white led light to achieve faster results. 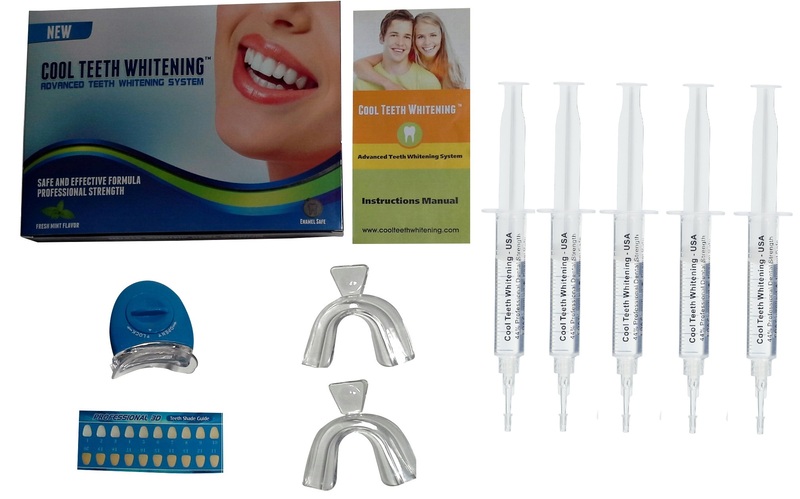 This kit really includes everything you need for multiples teeth whitening treatments. To keep track of your progress, we will include a free shade guide along with complete detailed instructions.